You have requested further details about The Fleece Hotel, at present the details we have are as follows. 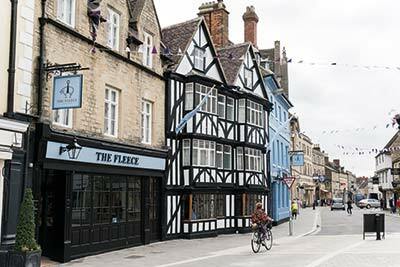 Located in the heart of Cirencester on the historic market square is The Fleece at Cirencester; a characterful inn with cosy rooms, hearty food and award winning cask ales. Our traditional coaching inn has a rich history and has been welcoming guests since 1651 and it’s been a favourite for visitors to the Cotswolds for many years. Our inn is full of character and charm and has maintained many of the traditional features you’d expect from a building from the 17th century. However we’ve added all the 21st century comforts you need to make it a home away from home. Our rooms are spacious yet cosy, offer free Wi-Fi, tea and coffee making facilities with fresh milk – plus there’s a hearty breakfast to awake you from your slumber. Downstairs our restaurant and bar welcome guests and locals – all can enjoy our enviable range of cask ales alongside a locally sourced menu filled with seasonal dishes.